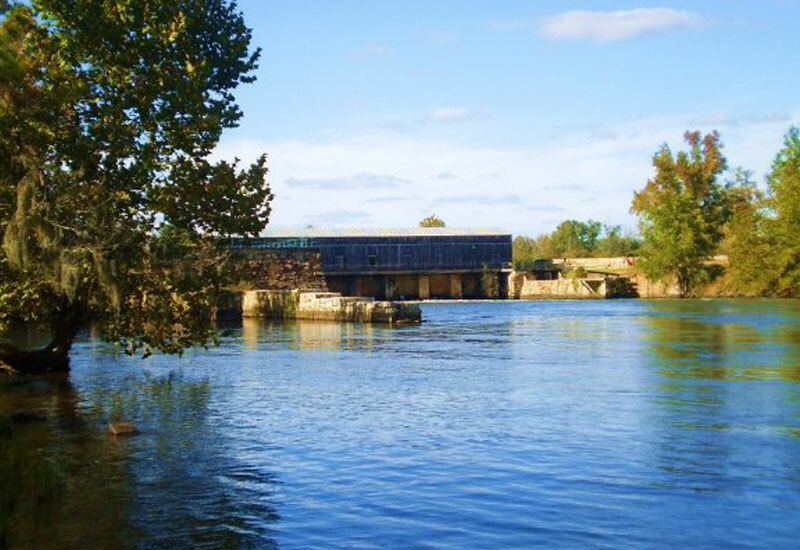 The Augusta Canal Trip is another route full of history. This trip is recommended to parties with children. This route starts at the Savannah Rapids Pavilion and has a very nice and steady current to ride down on. Customers paddle for about 2 hours before exiting the Canal to beautiful, Lake Olmsted. Locals are out and about playing disc golf, biking, walking or even attending an Augusta Green Jackets game during season. This trip lasts approximately 2.5 hours and swimming is not allowed.